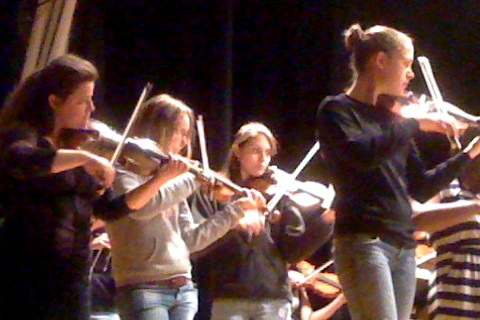 CFO YOUNG ARTISTS: Young artists are chosen periodically to perform on our programs. Our Young Artist 2010, Katie Hyun, violin, performed Astor Piazzolla’s “Four Seasons of Buenos Aires” with CFO’s ClaverackLanding at Club Helsinki Hudson. See Reviews. Student ensembles from music conservatories such as the Bard College Conservatory of Music and the Eastman School of Music have performed on our series and worked with our “Take a Seat” students. Volunteers are needed to organize and supervise our concerts and education programs. If you are interested in helping, please contact us. Students will Take a Seat with their CFO mentors in the professional string ensemble to accompany the audience in this great holiday tradition! Student singers are welcome as well! Students playing flute, clarinet, trumpet, trombone, french horn, tuba and percussion are invited to join the ensemble on selected numbers. Rehearsals will take place on Friday, July 1, and Saturday morning, July 2. 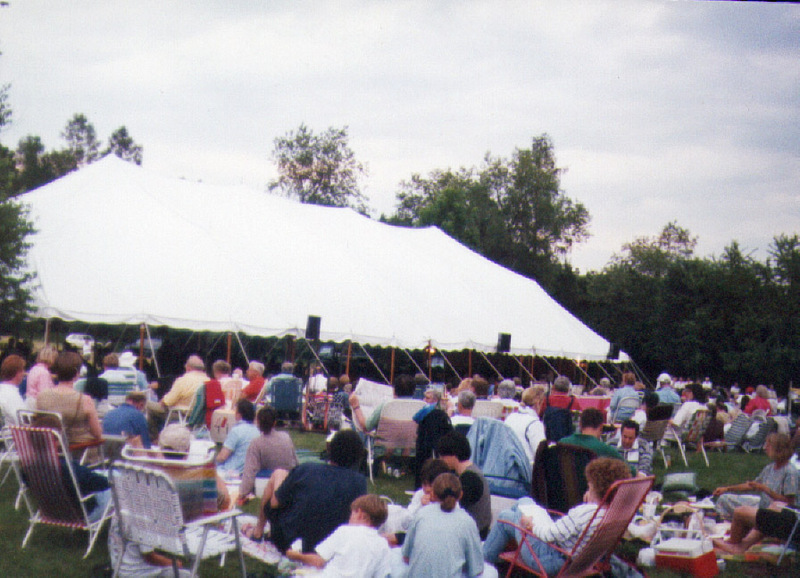 To sign up, contact Marilyn Barry, Education Coordinator, at 518-392-1401 or e-mail info@columbiafestivalorchestra.org. Students need to be recommended by their teacher. 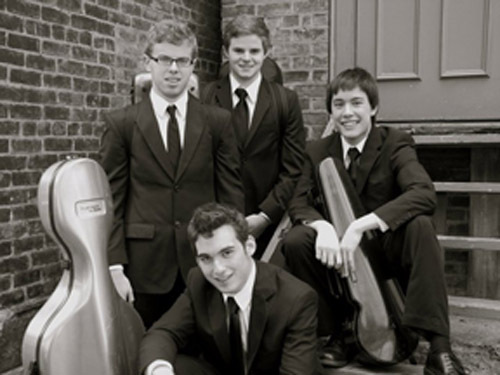 Masterclass with members of the Evander String Quartet. Seven area string students will perform selections for the members of the Evander Quartet from the Eastman School of Music and work with them one-on-one incorporating suggestions for interpretation and technique. 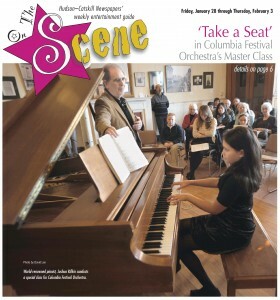 Masterclass with Joshua Rifkin, pianist, Saturday, January 22nd, 2011, at 3 pm at the Hudson Opera House. Eight area piano students of four local teachers performed in a masterclass setting for Joshua Rifkin, internationally known pianist, musicologist and conductor. Mr. Rifkin then coached the performers offering insights into the music and nuances of performance. Click Here for MASTERCLASS PROGRAM and students performing. 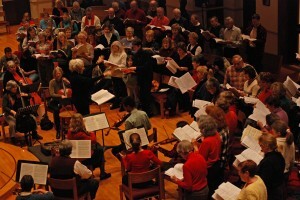 ANNUAL COMMUNITY SING of Handel’s Messiah with instrumental ensemble of CFO members, Take a Seat in the Orchestra students and community members. Take a Seat in the Orchestra program at the Hawthorne Valley School presented by members of CALLIOPE: A Renaissance Band, with participation of fifth and sixth grade recorder students. July 2008 at PS21, Chatham, NY – A Classical Road Trip – Inaugural concert of Take a Seat in the Orchestra mentoring program included 18 area students performing with 35 CFO professionals in the premiere performance of Overture to a New Theater by David Grunberg.